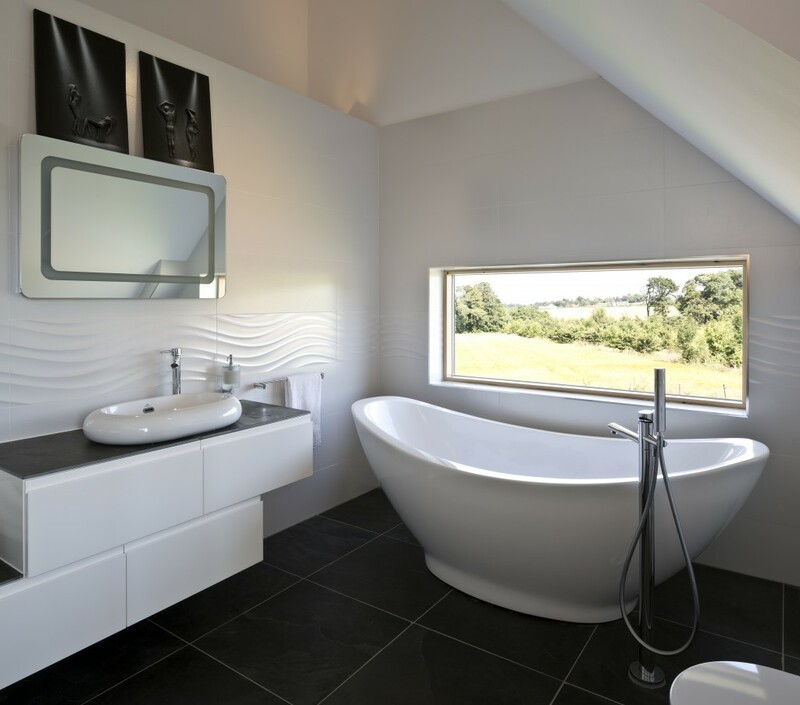 Homebuilding & Renovating Magazine featured an energy-efficient home with light filled rooms and renewable technologies. When Colin Amor chose to take early retirement from his career as a commercial airline pilot, he set his sights on a new project — something he’d never done before: building his own home. As a keen DIYer, he was happy to play a big role in the building and designing to ensure he created the energy-efficient home he wanted. The finished house is not only incredibly airtight, but cheap to run and comfortable to live in. Colin wanted to stay close to Perthshire so that he could be near to his son, and set about scouring the area. After several years, he spotted a spare plot on a small development of new-build houses. Clearly meant to be, the plot already had foundations in place and full planning permission for a four bedroom family home. However, he wasn’t keen on the proposed plans. The original design was for a modern barn, but did not incorporate the energy-saving technology he wanted. It also did not make the most of the views, so Colin appointed local architect Allan Corfield, who redesigned the house within the current footprint (thus saving money and time). 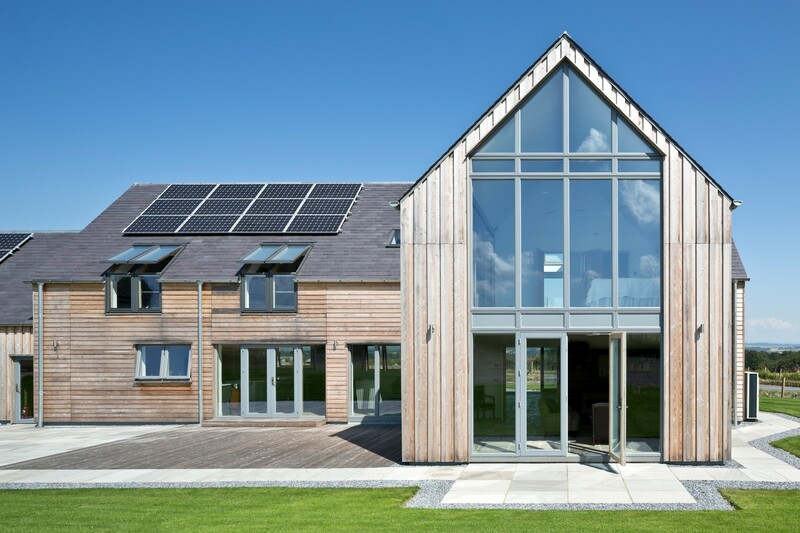 Having researched renewables and a fabric-first approach, Colin opted for a property using structural insulated panels (SIPs), which would offer the potential to make the home more airtight. He resubmitted his plans and the planning officers preferred the new thermally-efficient design to the original. 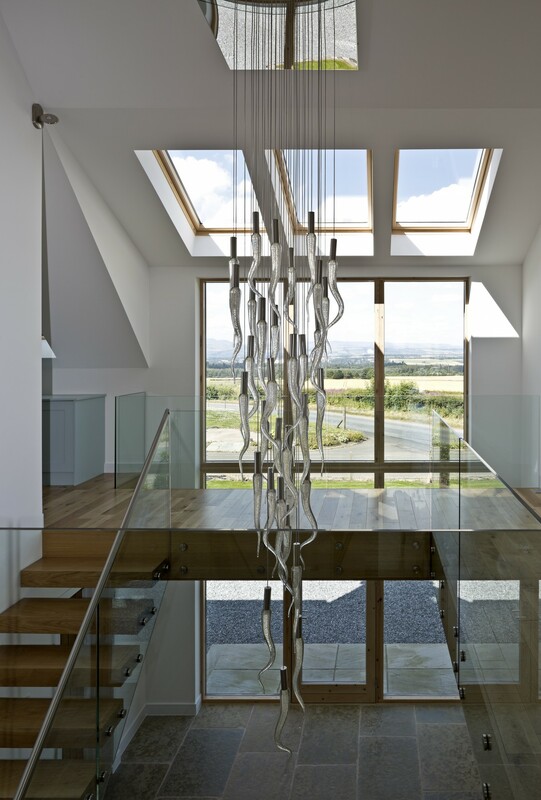 On top of choosing a design that would optimise the home’s performance, Colin asked Allan to ensure the stunning location was taken advantage of. 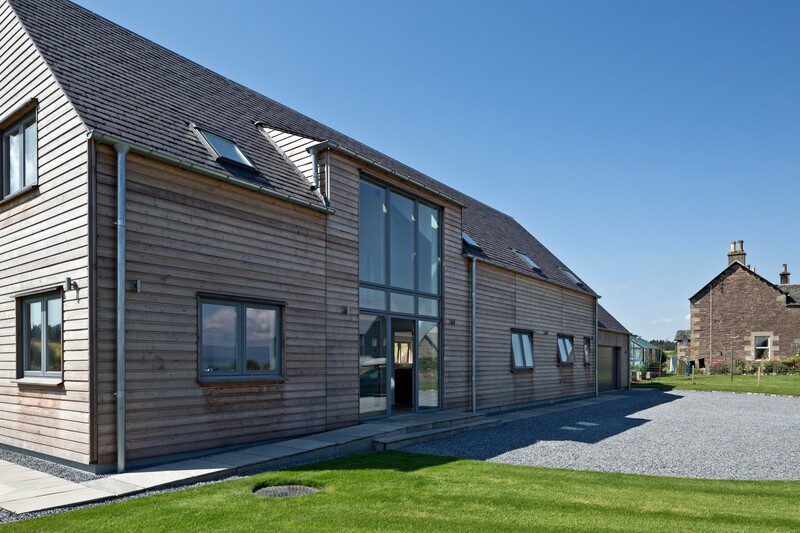 Allan maintained the modern barn style and included full-height, triple-glazed windows to frame the views. 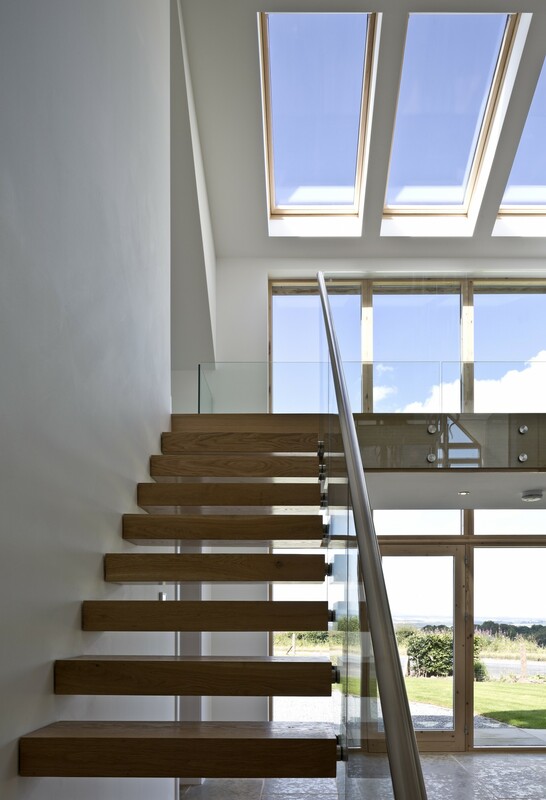 Other large windows are used throughout, flooding the home with natural light. 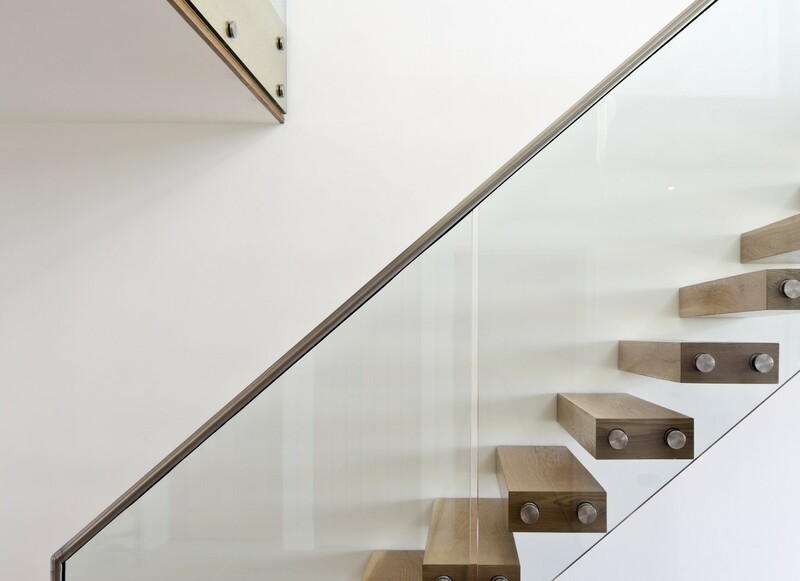 To enhance the sense of space, Allan also incorporated a double-height atrium space and a stunning floating staircase with structural steels hidden in the treads. The exterior is clad with hard-wearing Siberian larch — a popular choice as it weathers well and is largely maintenance-free. The structure itself achieved an airtightness value of 0.8, which is not surprising when you hear that Colin spent three weeks taping every single joint. 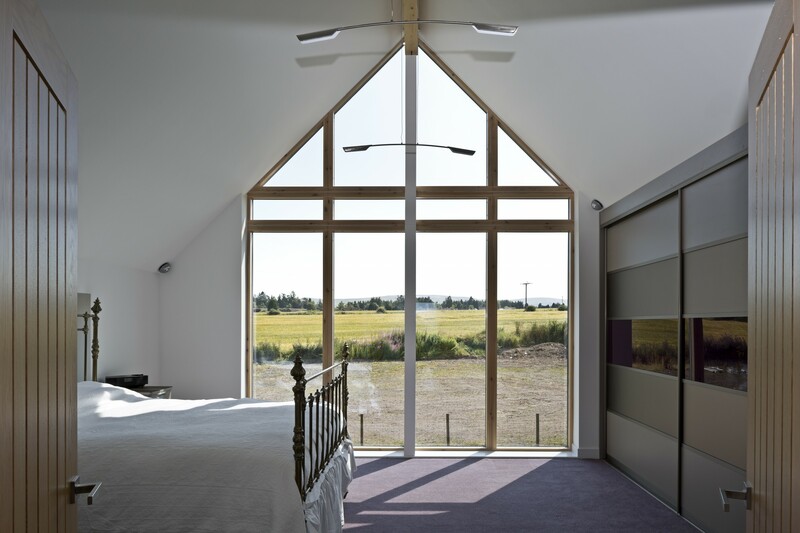 With this high level of airtightness he installed a mechanical ventilation heat recovery (MVHR) system from Paul Novus to keep fresh air circulating throughout the interior. 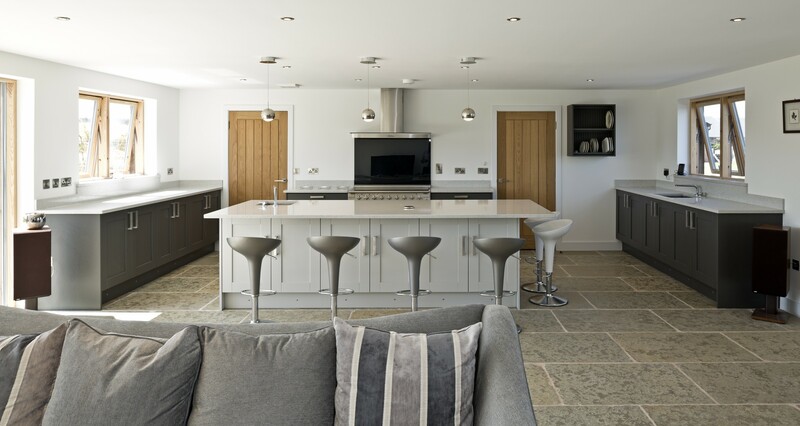 He also opted for a Daikin Altherma air-source heat pump (ASHP) to supply the wet underfloor heating system that runs through the house. This is eligible for the Renewable Heat Incentive and along with the solar photovoltaic panels on the roof (which feed surplus electricity back into the grid meaning Colin is in receipt of the Feed-in Tariff), the house is actually generating more money than it costs to heat and power. With planning in place, work started in February 2013, but they could not have planned for all the snow that came down in the first three weeks of the build. Fortunately, by using a SIPs kit, the structure of the house was erected in just two weeks, with the windows and doors fitted immediately, meaning the property was completely watertight three weeks into the build. At the start of the build, Colin was living 20 miles away in his previous house near the centre of Stirling, but three months in he took the decision to move into a caravan on site. This meant that he was available to take deliveries, answer any of the tradesmen’s questions and generally keep the project on track. Colin spent 12–14 hour days managing the project, but in a little over a year the house was complete. What’s more it fulfilled his brief to reduce his energy consumption, have a low environmental impact and the be airtight. 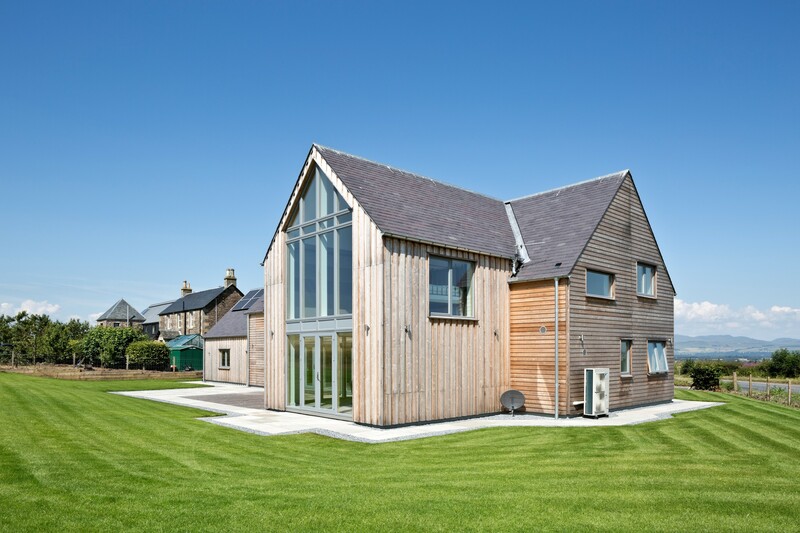 On the back of completing Amor House, in 2014 Allan Corfield Architects Ltd were shortlisted as ‘Selfbuild Architect of The Year’ and also ‘Eco House of The Year’.